Dear Applicants, are you waiting for TN TRB Recruitment 2019? 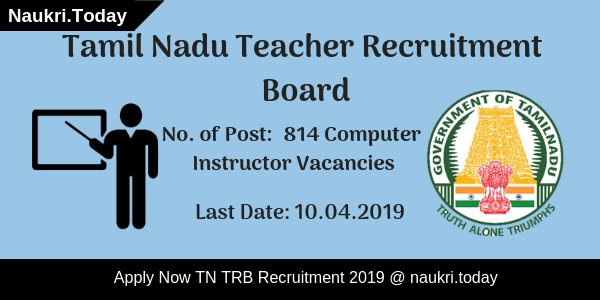 If yes then Tamil Nadu Teachers Recruitment Board is inviting applications for 814 Computer Instructor Vacancies. Interested & eligible candidates can fill application forms through online mode. Online registrations for TN TRB Computer Instructor Jobs will start from 20.03.2019. Participants can submit application forms till 10.04.2019. 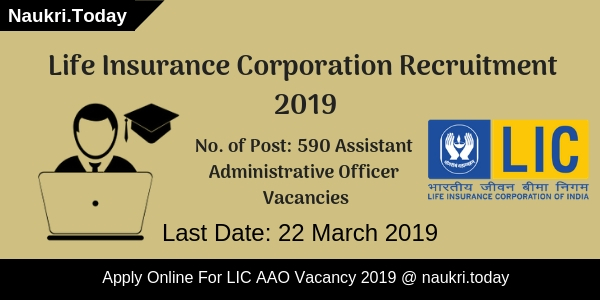 Candidates who have completed Post Graduation are eligible to apply for Tamil Nadu TRB Vacancy 2019. For more details, aspirants read the given article carefully. What is Selection Criteria For TRB Polytechnic College Lecturer Jobs & Exam Syllabus & Scheme ? What is the Selection Criteria & Exam Scheme For TN TRB Recruitment 2017 – 18 ? How I Fill Online form for TN TRB Recruitment 2017 – 18, Special Teacher Jobs Online form Applying Process ? Required Education For TN TRB Jobs 2019 Post Graduation from recognized University. What Certificates To Be Send For Document Verification Of TN TRB Recruitment 2019? Participants should send some certificates before last date of submitting application form to the department. What Is The Size For Uploading Signature & Photo In TN TRB Computer Instructor Vacancy Form? Applicants must upload the photograph in JPG/ JPEG/ PNG format in 20-60 KB size. The signature should not have size more than 10-30 KB. Hello readers, TN TRB Recruitment 2018 has released its official notification for the recruitment of 186 vacancies. Tamil Nadu TRB Vacancy is for the posts of ASSISTANT PROFESSORS/ ASSISTANT PROFESSORS (PRE-LAW) in Government Law Colleges. Applications are invited from the eligible candidates through online mode. Commencement of online forms will start from 23.07.2018. The last date for the submission of forms through online mode is 06.08.2018. Readers the other brief information about the TN TRB Jobs 2018 such as the eligibility criteria, selection process etc. are given below on our website page. 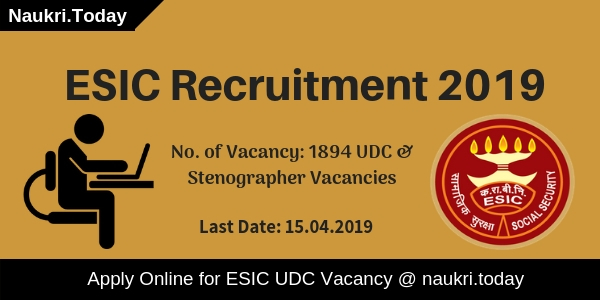 TEACHERS RECRUITMENT BOARD has released the official notification for the recruitment of Assistant Professors and Assistant Professors (Pre-Law). Candidates who are eligible to fill the forms and sit for the examinations are hereby requested to check the postcode and the remuneration for the desired posts. The remuneration for the posts of Assistant Professors/Assistant Professor (Pre-Law) In Government Law Colleges is stated Rs 15,600-39,100 + AGP Rs 7,000 (Pre-revised). Academic Level 2 with rationalized entry pay of Rs 68,900 Revised as per GO. (MS) number 145, Higher Education (HI) Department, dated 06.07.2018. Aspirants who are interested to fill the online application form for the Tamil Nadu TRB Vacancy 2018 should first check the eligibility criteria. Eligibility of the candidates can be divided into two categories here. First is the qualification of the aspirant and the second is the age limit stated by the recruitment board. Below are the details regarding the age and qualification required for TN TRB Assistant Professors Jobs 2018. No candidate shall be eligible for the appointment for the posts of Assistant Professors/ Assistant Professors (Pre Law) if he/she is above the age of 40years. Assistant Professors: Master’s degree from a recognized university with not less than 55 percent marks/50 percent marks. The Scheduled Castes and Scheduled Tribes must have qualified for the National Eligibility Test and must be enrolled as a member of Bar Council. for TN TRN Vacancy 2018. Assistant Professors (Pre Law): M.A. degree in any of the universities of the State of Tamil Nadu with 55 percent/ 50 percent marks for the Scheduled Castes and Scheduled Tribes and must Master’s degree from any university in Law with 50 percent/ 55 percent marks for Schedule Castes and Schedule Tribes and must have qualified in the NET and must be enrolled at the Bar council advocate. Assistant Professors: The subject will be Law with the maximum marks being 175 and the total duration of the examination being 3 hours. Assistant Professors (Pre Law): The subjects will be English, Sociology, Political Science, and Economics, History, and Law. The maximum marks will be 175 with a total time of 3 hours. Applicants should go to the notifications area on the official website. In TN TRB Bharti 2018 sections the candidates should click on the advertisement link and read it carefully. Then the candidates should click on the Apply Online link for TN TRB Jobs 2018 and fill all the required details. After applying and filling up the form the candidates should pay for the examination fees through online method. This being the last step, after paying the fees online the candidates should take a print out of their copy. 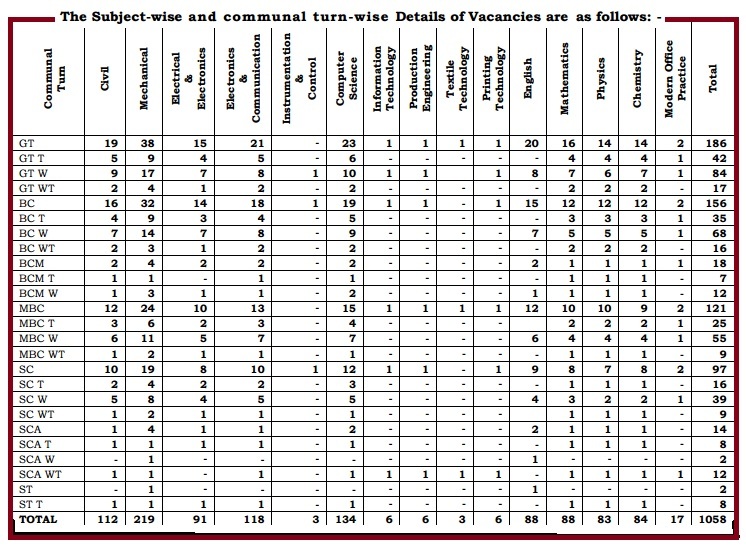 Conclusion: The TN TRB Recruitment has released its official notification of 186 vacancies for two posts Assistant Professors / Assistant Professors (pre-law). The application has to be filled through online mode. The last date for filling the online application is 06.08.2018 for TN TRB Assistant Professor Vacancy. Are you waiting for TRB New Notification ? ?, here is good news for you related to TN TRB Recruitment 2017. Tamil Nadu Teacher Recruitment Board is going to aannouncea Lecturer Recruitment In Polytechnic Colleges vacancy. There are 1058 of Lecturers (Engineering / Non Engineering) in Govt. Polytechnic Colleges Jobs. Candidate who are interested & eligible can fill the TRB Application Form before the last date 11.08.2017 at 11:59 PM. We are discuss about all your query like as What is eligibility Criteria TRB Govt. Polytechnic College Lecturer Recruitment 2017 ? and many more. What is Tamil Nadu TRB ? It is Known as Teacher Recruitment Board in Tamil Nadu Sate. TN TRB board has conduct many more exam every year for recruited the brilliant & talented. Now Board are direct recruit for Lecturers (Engineering / Non-Engineering) in Government Polytechnic Colleges for the year 2017-18. It is great opportunity for all the candidate who make his/ her career in Teacher field. Our team of naukri today are provide who can apply for TRB Lecturer Jobs. Full Details for educational qualification, age limit, application fee, selection criteria etc. What is Important Date For TN TRB Recruitment 2017 Of 1058 Lecturer Vacancy ? Required Qualification For Tamil Nadu TRB recruitment 2017 : Candidate who are make his/ her career can check educational qualification in this section. Applicants should have done Bachelor degree in all engineering stream for Lecturer in Engineering subjects. And complete first class Master’s degree in the appropriate branch of study for Lecturer in non-Engineering subjects. More details related to qualification through TRB Polytechnic College Lecturer Notification 2017. Age Criteria For Tamil Nadu TRB recruitment of 1058 lecturers Jobs : Applicants upper age limit should be 57 Years as on 01.07.2017. Candidate whose age limit 58 years may not apply for this TRB Lecturer Jobs because retirement age is 58 years. Application Fee/ Exam Fee for TRB Tamil Nadu Recruitment : The Candidate have to pay fee for TRB Application Form 2017 Rs. 600/- for UR Category & Rs. 300/- for SC/ SCA/ ST and PWD category. Applicants have to pay the application fee through Online mode only i.e. net banking /credit card / debit card. Pay Scale : Applicants who will selected for this Tamil Nadu TRB recruitment of 1058 lecturers in govt. polytechnic colleges jobs get good salary. Candidate will paid Rs.15600/- to Rs. 39100/- plus grade pay Rs. 5400/- by the TN TRB Department. Candidate who are fill the TRB Application Form 2017 will selected on the basis of best performance through selection procedure. Selection will be made on two stage ie.e written exam 7 Awarding weightage marks during Certificate verification. Applicants will be selected through written exam, which will held on 16th September 2017. Candidate who get this TRB Govt. Polytechnic College Lecturer jobs can start the exam preparation. Because without preparation candidate can’t crack this exam. Tamil Nadu Teacher Recruitment Board will conduct the exam on 16.09.2017 from 10.00 A.M to 1.00 P.M. BY using Exam Pattern & Syllabus candidate can start preparation for TRB exam. We are providing here all the TN TRB Lecturer Syllabus & Exam Pattern full details. Admit Card is very important documents for all the participants. Without TN TRB Hall Ticket applicants can’t attend the exam. IN Permission letter many details are available. we are providing TN TRB Lecturer Admit Card 2017 downloading link after releasing by the department. 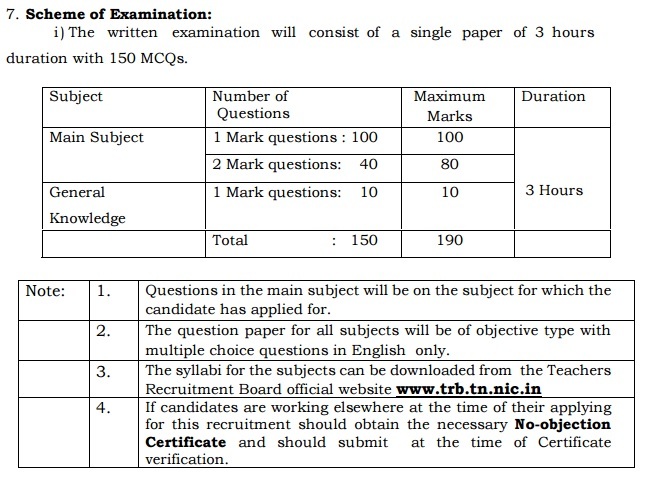 What is Answer Key, Cutoff Marks & exam Result ? Candidate who will attend the exam can check the Answer sheet which will available after the exam date. From here participants can also check category wise cutoff marks. Applicants will also check the exam result by using registration no. & password. Who are qualified in written exam, then they are call for document verification. We are providing here all the information related to TRB Govt. Polytechnic College Lecturer Examination 2017 – 2018. How to Apply For Online TRB Application Form 2017 – Tamil Nadu TRB Lecturer Recruitment 2017 ? At First candidate can visit TN TRB official website. After that open a link for TN TRB Recruitment 2017 “Click Here For Notification”. Selection in which language you get TN TRB Lecturer Notification. Click on “NOTIFICATION – ENGLISH” or “NOTIFICATION – TAMIL”. Open the TRB Government Polytechnic College Lecturer Recruitment 2017 notification. Candidate can read full notification for many more information. If Candidate are eligible then click on apply link. “Click here – Online Application form for Lecturers (Engineering / Non-Engineering)”. Read Apply Instruction for TRB application Form Carefully. At first candidate will registered with fill personal details. Click on submit button. then get registration no. & password on mobile or email. After that login Application form by using registration no. & password. fill education qualification marks & passing years. Upload image, signature & Required documents. Click on submit button & Print fill form for future use. Click On Apply TRB Application Form 2017 through Online mode. Conclusion : TRB Tamil Nadu Recruitment Board has announced a TN TRB Recruitment 2017 for 1085 Lecturer Vacancy. Eligible & Interested candidate can fill the TRB Application Form before the last date. 11th August 2017. we are providing here all the details related to TRB Government Polytechnic College Lecturer Recruitment 2017. Tamil Nadu Teacher Recruitment Board is inviting online form for filling up Special Teacher Vacancies. There are total 1325 Special Teacher Vacancy of Music, Physical education & Other Subject. Candidates who are interested in TN TRB Recruitment 2017 – 18 can fill online application form for Special Teacher Jobs from here. Online submission of TRB Special Teacher Jobs has been started from 27.07.2017 & Closing date for submit Tamil Nadu TRB Vacancy online form is 18.08.2017. Teacher Recruitment Board is known as TRB. 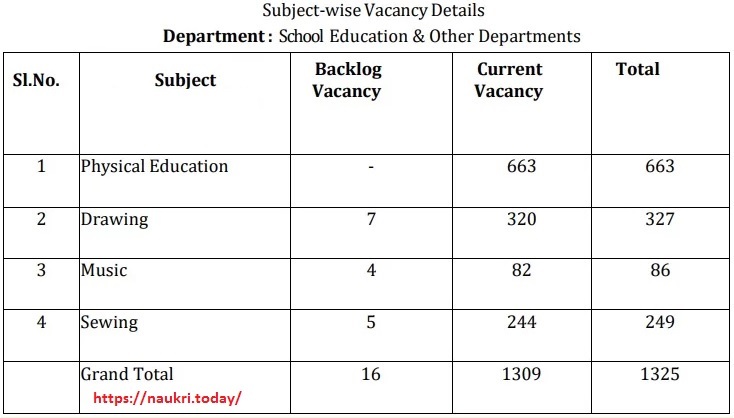 Department has recently issued recruitment notification of 1325 Special Teacher Vacancies. This is great opportunity for all the candidates who are looking TRB Teacher Jobs In Tamil Nadu State. In this article we are providing Full details about Eligibility Criteria, How To Fill Online form for TN TRB Recruitment & Other details. Fr ore details you can get by reading the given below article. PET Vacancy : Candidates must have passed SSLC & Higher Qualification from recognized University. Applicants should have done Bachelor’s Degree or equivalent qualification in physical education as Technical Qualification for TRB PET Vacancy. Drawing Teacher Jobs : SSLC Passed & Hold Degree in Drawing and Painting/ Diploma in Painting or equivalent qualification. TRB Music Teacher Jobs : Applicants should have passed SSLC & Degree in Music or respective qualification for Music Teacher Jobs. Sewing : SSLC with A certificate in Needle Work and Dress making or equivalent qualification required for applying form for this vacancy. Candidates can check more information about Qualification which is mention in official TRB Tamil Nadu Special Teacher Jobs Notification. Age of the Applicants for TRB TN Vacancies should be not more than 57 years as on 01.07.2017. Relaxation in age is applicable only for reserved category candidates as per Organization rules & regulation, candidates can check age relaxation from departmental notification. Candidates who will selected for TN TRB Vacancy 2017, will paid pay band as per department Norms. After Joining, Selected candidates will paid Rs. 5,200/- to 20,200/- with grade pay of Rs. 2,800/- for Tamil Nadu Special Teacher Jobs 2017. Candidates of General/OBC Category need to pay Rs.500/- for applying Teacher Recruitment Board Jobs Online form. Other Category candidates of SC/SCA/ST/PWD etc. must paid Rs. 250/- for Special Teacher Jobs 2017. Mode of deposit application fee through online mode for Tamil Nadu TRB Recruitment 2017. Selection of the candidates for TN TRB Vacancy will based on written Examination & Awarding Weightage Marks During Certificate Verification. Final Selection will based marks obtain in exam & Other Factors. Exam Scheme & pattern of Exam for TN TRB Special Teacher Jobs is shown below. After Examination Department will issued Exam Answer Key & Result on official website @ trb.tn.nic.in.To get more information about Exam Syllabus, Hall Ticket & Other You can check from here or from official website. All future details will updates here related to TN TRB Jobs 2017. First of all candidates log on to the official website www.trb.tn.nic.in. Now click on official TN TRB Vacancy Notification link. Now click on Online form applying link. Recheck all details before submission online form. Upload scanned photo & signature inform properly. Conclusion : – TN TRB Recruitment 2017 for 1325 Special Teacher Vacancies. Candidates can fill online form for TRB Tamil Nadu Recruitment 2017 on or before the closing date 18.08.2017. Keep visit this page for more updates.